Hanoi is full of street food stalls, so we decided to learn where and what to eat from the local professionals. 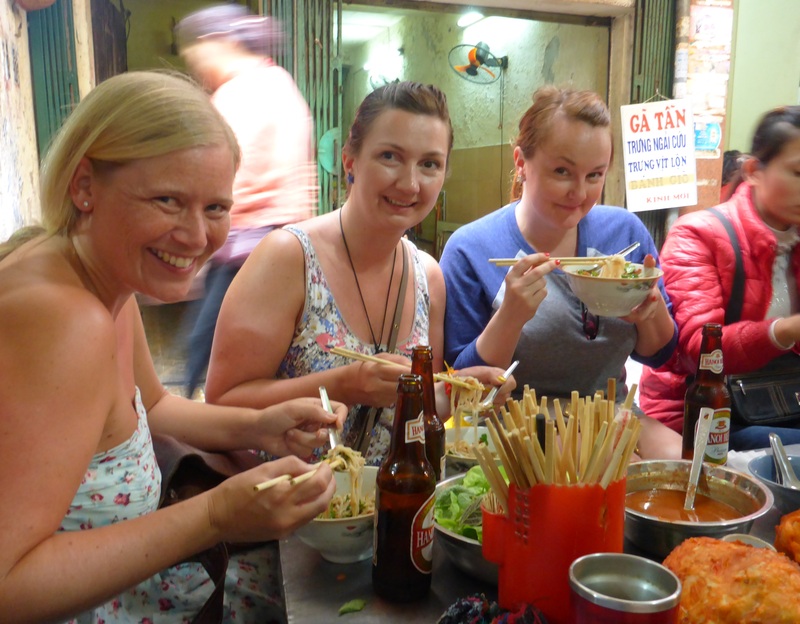 We booked a guide from Hanoi Street Food Tours, and Tu got us started from the moment we met. He is the writer of the food blog Vietnamese God and certainly knows what he is talking about. 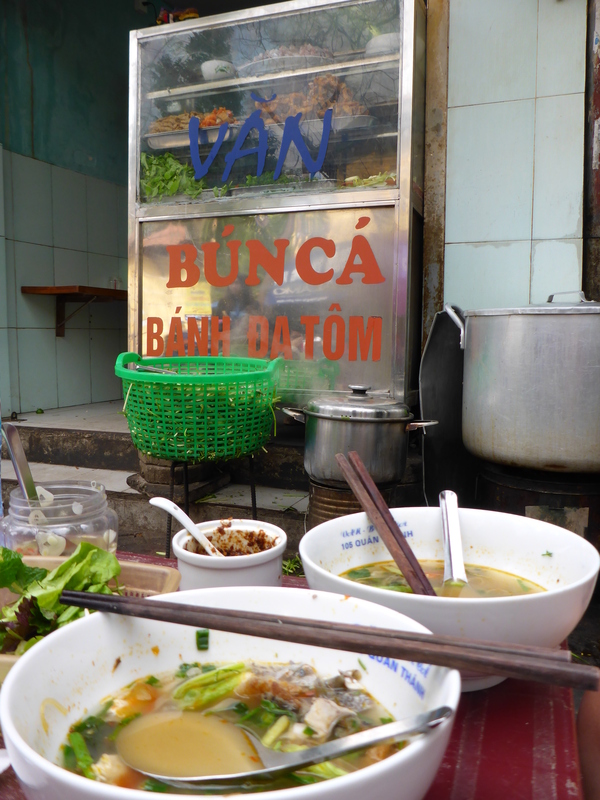 Our first stop was for fish soup, or Bun Ca, with noodles and vegetables. It comes with a bit of different salad leaves on the side to put in it. As the last finish, ad some chopped chilli and squeezed lime. It was seriously the best fish soup I have ever tasted! It was both sweet and sour, with a little spicy kick. We really wanted to slurp every drop, but Tu was strict and told us we could only eat half of it, as we had much more food coming up. We did not dare to disobey him. Moving on, taking shortcuts between residential houses, Tu also filled us with stories about how Hanoi has developed. Our next stop was for Vietnamese coffee, at Cafe Duy Tri. The café has been run by the family for generations, though in different locations. The current location was in 43 Yen Phu, not far from Sofitel Plaza. There were small tables on both sides of the narrow room, and more tables in the charming room one floor up. I do not usually even drink coffee, but I of course had to try, so I got the iced coffee with condensed milk. Really nice and a bit sweet, and for a non-coffee drinker as myself, that was just the trick. My coffee drinking friends were also very happy with theirs, and even bought some coffee beans on their way out, freshly grained on the spot. 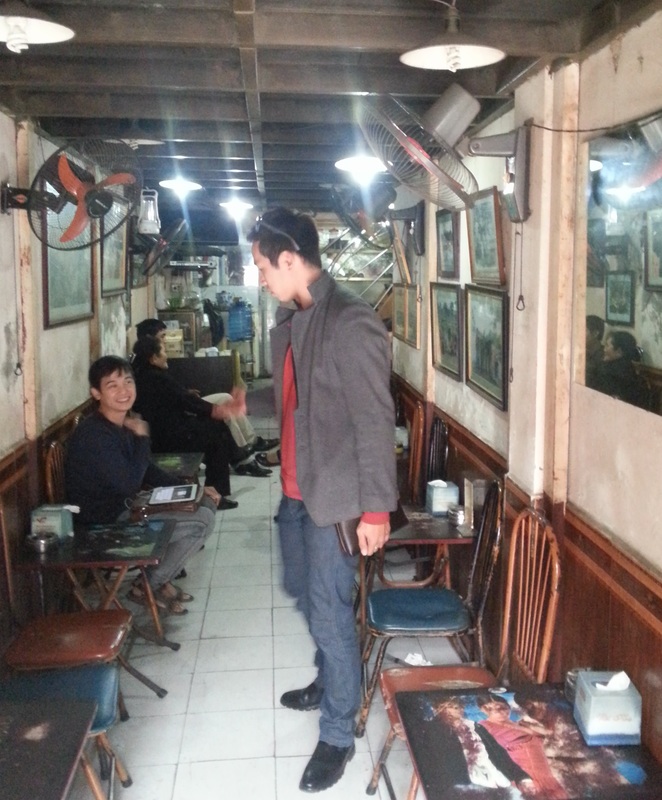 In addition to the coffee, we had to taste the frozen yogurt, as this is the only café in Hanoi that have that. The fact that they had one with avocado flavor made it a done deal! Oh, did I mention that I am an avocado addict? It was time to get some more solid food, so we took a taxi to the old quarter for what was, according to Tu, the best crab spring rolls in town. They were actually more like squares than roll, but what does that matter? 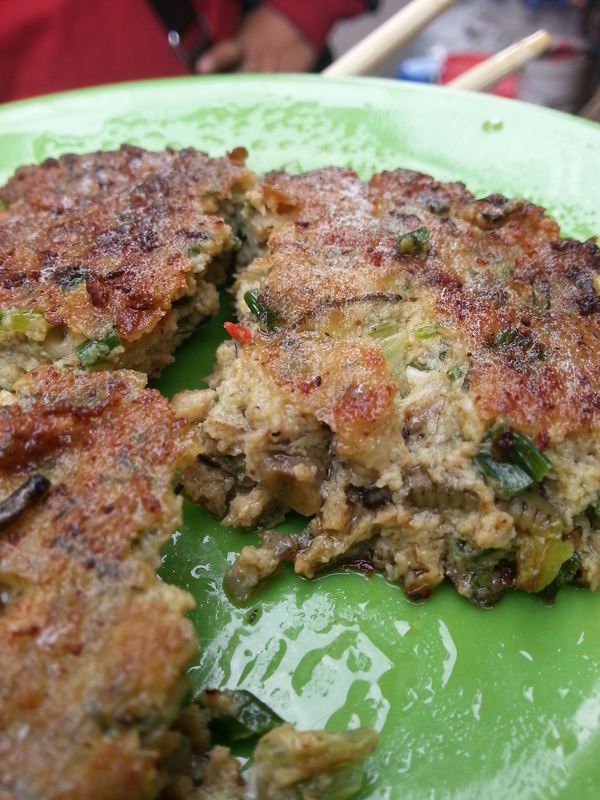 They were cut in several pieces and served with rice noodles, assorted leaves and sauce for dipping. My taste buds were at least satisfied. We did not need to move far for dessert. 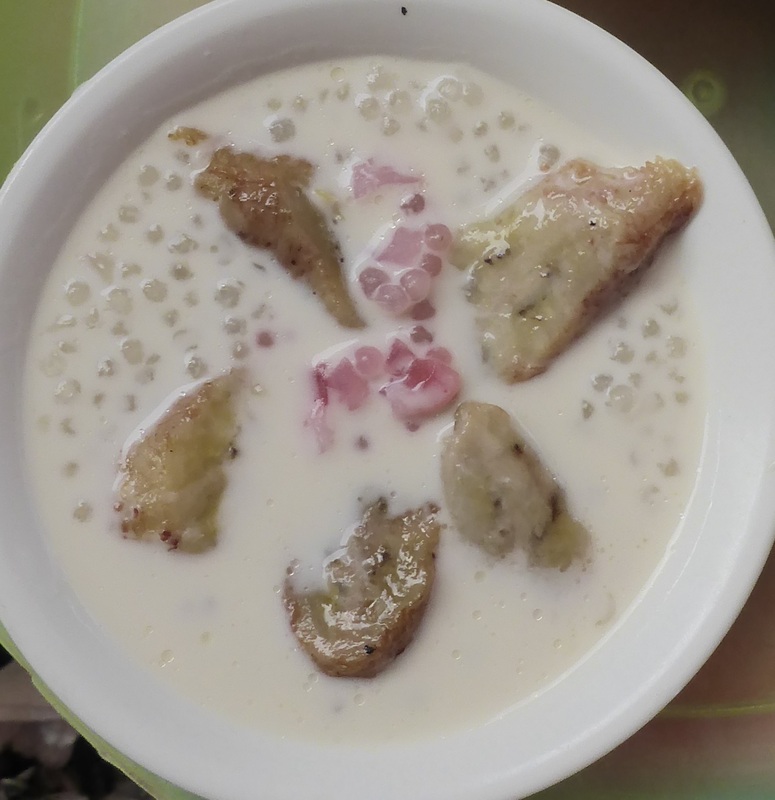 The stall right next door served Che Chuoi; a rather sweet condensed milk with banana and pearl tapioca. We also got iced lemon tea, quite sweet as well, but also nice and refreshing. Last taste – Pho Tiu; noodle soup with pork, bean shoots, nuts and herbs. Accompanied with a nice, cold beer. A great way to end this fantastic journey through the street food of Hanoi! 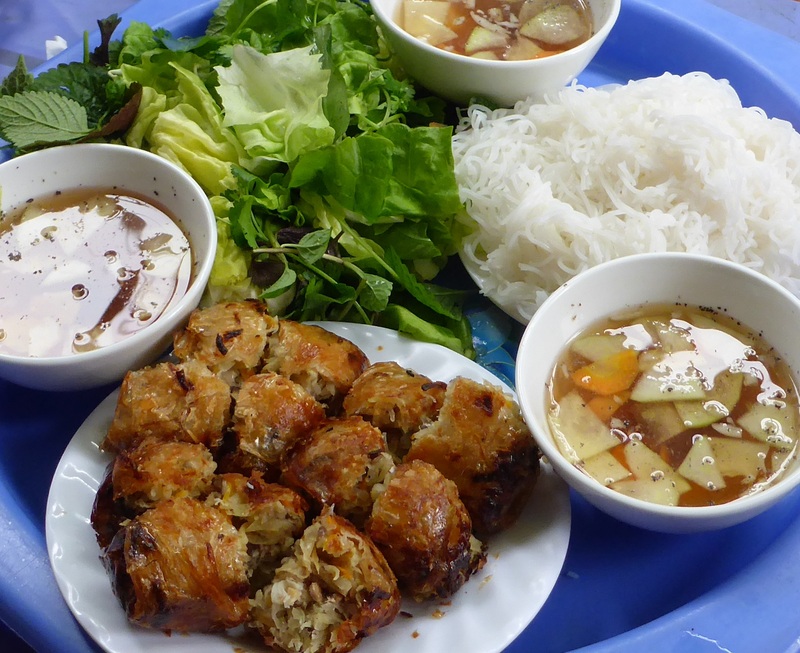 To try this fabulous experience yourself, contact Tu on Hanoi Street Food Tours.